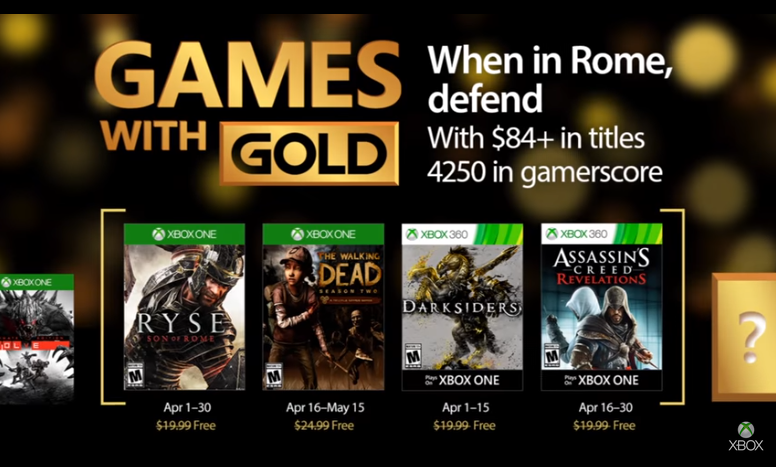 In April 2017 we got a very respectable list of games, with Ryse: Son of Rome leading the attack, only valued at $20 at the time. Critics only seemed to rate it a 60 on average, as did most of the Metacritic users, but the game has still managed to garner a strong following since its release. Even as a release title, it still looks great today (but that’s to be expected of a Crytek title) – Here’s hoping for an Xbox One X enhancement! We also got the sequel to Telltales’ The Walking Dead (Season Two), a game which revolutionized the ‘point and click’ genre to become something new entirely. 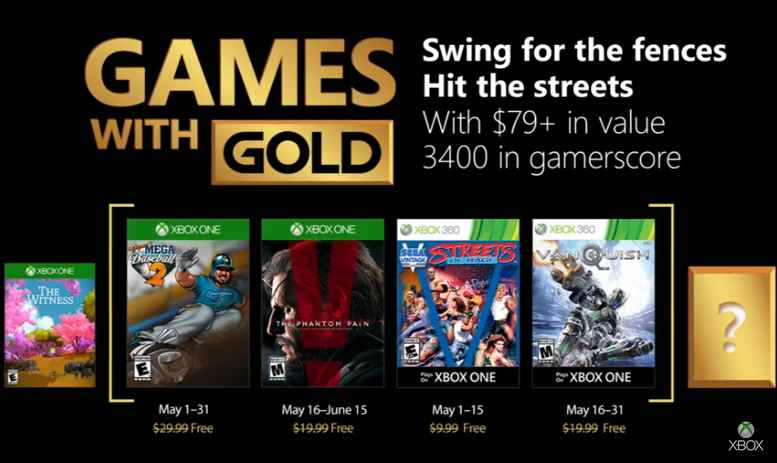 It made for the most expensive entry in that month, but Telltale games are usually offered in discounts so I wouldn’t take the $25 price at face value. It received an average rating of 80 and was well received overall. Clem was an interesting lead character, but in my own opinion, not as memorable as the first game. As for the 360 side of things, we got Darksiders waging War. A Zelda-like action adventure that even added in Portals for all your puzzle-solving fun. It was very well received and ended up spawning two sequels (one which still has to release) at an 83 Metacritic score, I’m sure Vigil Games counts it as a success. Assassinating the month, we have Assassin’s Creed Revelations, in which Ezio follows in Altair’s Legendary footsteps and drops Templars like flies in Constantinople. 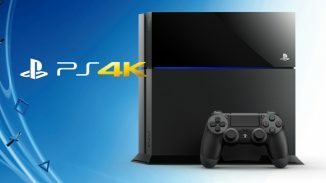 Critics were kind enough to rate it an 80, but most gamers complained that the formular was growing too stale and that the series was in dire need of some innovation. But who can complain when the price is $0, right? As an added bonus to this month, we also got some free multiplayer content for Phantom Dust ( a free to play title) which gave you some extra skills & abilities. Going back in time a bit, we have yet another TellTale game: The Wolf Among Us. This time we follow the comic-book adventures of detective Bigsby in a world inspired by fairytales. Many would argue that this is the Telltale’s best game. 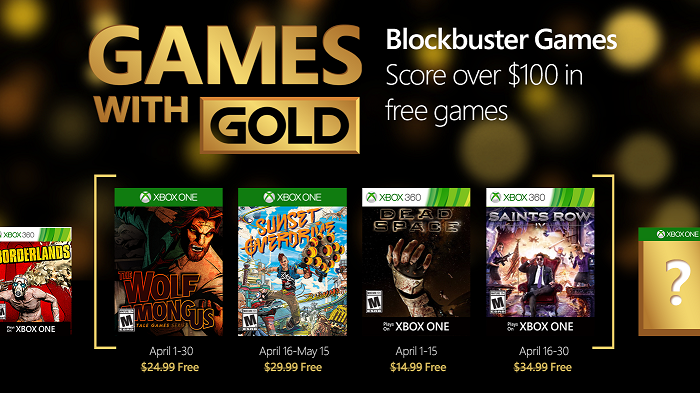 Scoring an 80 on metacritic and good for an easy 1000G, a lot of people were happy to see this in the line up. Next up is Sunset Overdrive, a freerunning game with over the top guns very much like Insomniac’s own Ratchet and Clank series. The freedom of traversal is amazing and likely went on to inspire the upcoming Spiderman game. It’s rated at 81 and fans of the game have been yelling on social media how they are desperate for a sequal. This game wasn’t on my own radar at all until I played it and now I’m a believer myself! First to represent Xbox 360 in April was Dead Space, a game I hold very dearly and still consider to be one of the best horror experiences ever. It had a compelling setting (an adrift spaceship), creepy enemies (Necromorphs could only be killed by severing limbs) and some really nifty gameplay elements (stasis, kinesis, plasma cutter gun etc). It also had a pretty stellar reception: 89. 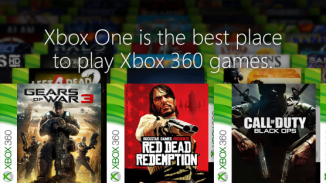 You can read my backwards compatible article on it here if you’d like. Closing the month is another game the majority of gamers out there love, but sadly wasn’t for me: Saints Row IV. It’s a Grand Theft Auto like game, but one with a lot of silly elements and even superpowers to keep things interesting. Lauded for its humouristic elements, it received all around good reviews as well: 81 score on Metacritic. 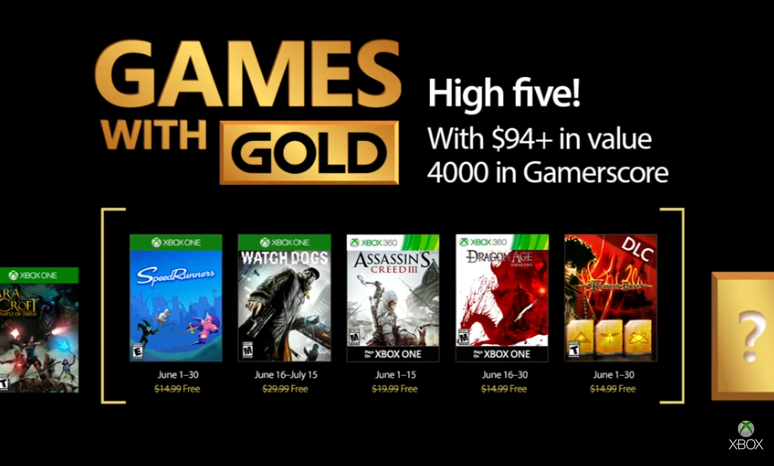 It’s also strange to see the Xbox 360 title as the most expensive in the line-up, but that price is now down to $12. Finally we see an entry for our current year. The Witness was the first game we got on the Xbox one in April 2018: it’s a mindbending puzzler with colourful graphics. I often found myself lost and unsure where to go next, but darnit, I was motivated to keep looking. It cost about $40 at the time so it was a pricy inclusion in the line-up and got a pretty great critical reception, coming in at 86. Uncommon for its genre, finishing it takes about 18 hours and completing it double that amount of time, so the content value is tremendous as well. Another Assassin’s Creed game enters the fray. While Unity scored poorly, Assassin’s Creed Syndicate improved on it somewhat by offering two playable characters (and yet Odyssey seems to want us to believe they are the first to do it): The Frye twins make London an unsafe environment to be a Templar. The improved story and interesting setting made it get a somewhat positive critical reception, scoring 78. And again: the amount of hours you can spend in this game make it an incredibly good deal at $0! On the Xbox 360 we have Cars 2 roaring its engines. While this inclusion may not have convinced too many people on its own, don’t let its movie-tie-in roots deceive you: this actually made for a pretty decent arcade racing game! 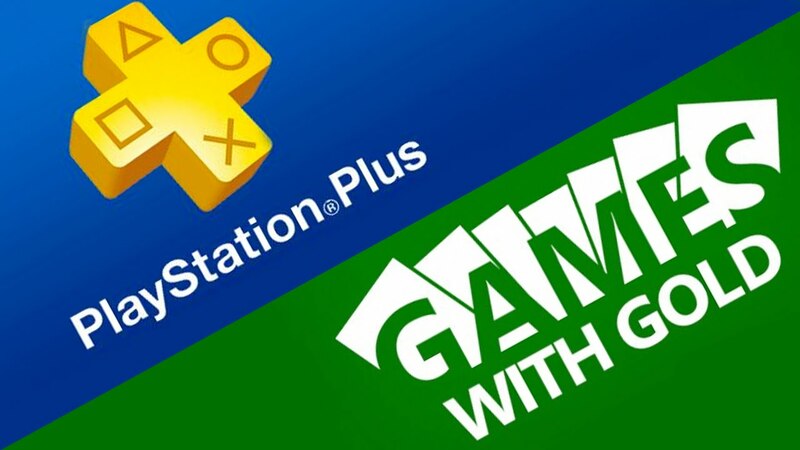 It also doesn’t hurt to have some kid-friendly games in the line-up from time to time as a lot of us gamers have kids running around and they also deserve some love. Cars 2 didn’t even score too badly either, with a 72 metacritic score. Last in April 2018 was Dead Space 2. A sequel that many believe to be even better than the original. I personally tend to prefer the first games in a series, just for setting everything up and introducing us to the world & characters, but I find it hard to pick a favourite here. It’s perhaps a little less scary than the 1st because of an even bigger action focus, but it did up the gore-level. It got a 90 rating from the critics and made people want another entry. And lastly, we have the upcoming line-up of August 2018. I was soo happy to see another great month after some rather disappointing offerings. Shifting into first gear is Forza Horizon 2, the racing game that needs no further introduction. The Forza games are known for their consistent quality and to this day one of the reasons people would even consider getting an Xbox over a Playstation console. While it didn’t reach the peak in review scores like its sequal did, an 86 is nothing to roll your windows up to either. I haven’t even tried this entry yet, so I’m very much looking forward to getting behind the wheel. 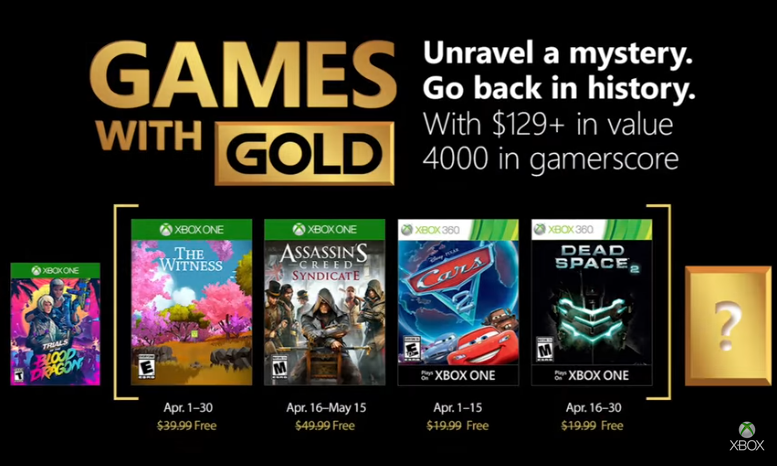 Ubisoft must have pretty good ties with Microsoft as here’s yet another of their games in the GWG. Still costing about $60 retail certainly makes For Honor an appealing offer for people who were on the fence. Some people seemed to have complaints about its longevity, but with consistent updates, Ubisoft managed to succeed in getting people to come back to it. Critics rated it around 79. Dead Space 3 completes the trilogy, so anyone who’s been a faithful GWG subscriber should be able to play all of them for free. Ratings wise it took a nosedive when compared to the previous games, mostly because its setting didn’t manage to find the same appeal (landed on a planet) and the Weapon upgrade system allowing you to spend real-world cash certainly didn’t seem to do it any favours. It’s not a bad score per se, but when compared to its predecessors, its 78 score feels like a dead body waiting to be reanimated by the necromorphs… It IS kind if strange seeing the Dead Space titles so often in these great months though, kind of makes me wish there were more of them. 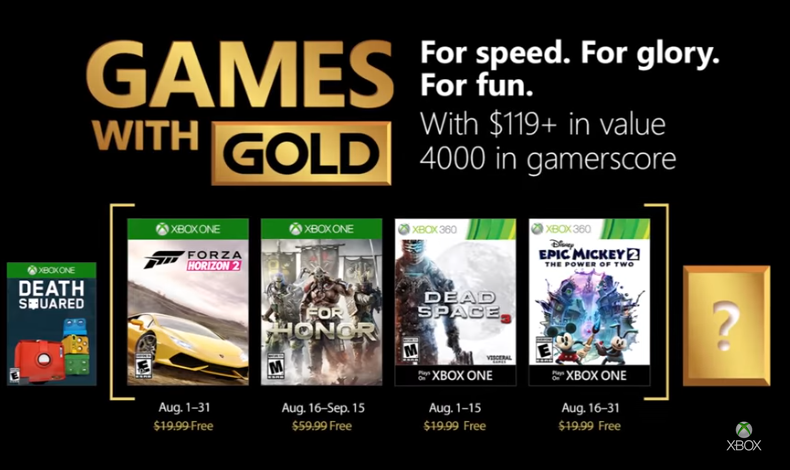 Another “kid’s” game joins the offer, with Disney’s Epic Mickey 2. The pensil & paint might seem like interesting gameplay elements at first but the pesky camera, boring gameplay and unresponsive controls (also present in the original) made it get a rather sad review score of 59. Being free might finally get it played by more people though and perhaps your own perception differs? 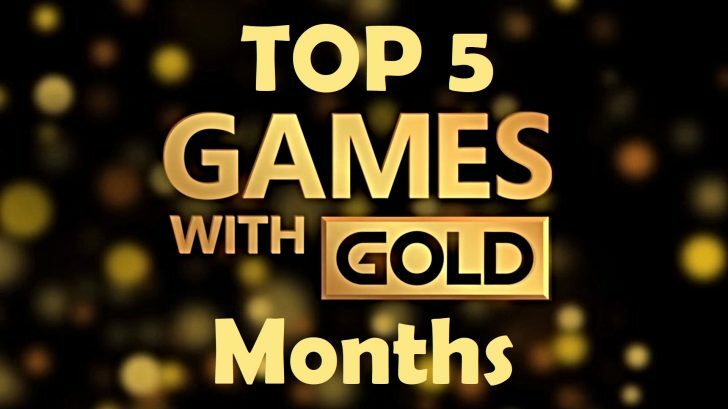 So, which are your favourite Games With Gold months so far? Be sure to let us known in the comments or on Twitter!